Australian original equipment manufacturers (OEMs) can be major players on the world stage. That is the belief of Nepean Conveyors chief executive officer Miles Fuller, who has guided the company through an acquisition of two businesses previously owned by global mining OEM, Sandvik. Nepean, already a leading manufacturer of pulleys and idlers in Australia, is aiming to become one of the largest specialists in conveyor components globally after adding Sandvik’s International Conveyor Components and Specialist Conveyor Systems businesses. 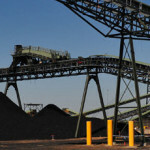 The Australian OEM’s conveyor expertise includes an integrated bulk materials handling solution from the mine to the train or truck load station. By acquiring the Sandvik businesses, Nepean believes it is positioned to provide a unique, integrated set of solutions for the industry. The combined capacity makes Nepean capable of producing thousands of large engineered pulleys and millions of conveyor rollers to customers in 66 countries. Nepean will also have access to IP developed at Sandvik’s engineering and manufacturing facilities, helping it introduce new product lines, including roller technologies, to the marketplace. The company’s growth demonstrates that Australian OEMs can be leaders on the world stage, Fuller told Australian Mining. “This is a win for Australian manufacturing and mining,” he said. “Companies that are determined and focused in the long term can demonstrate that Australia is the centre of excellence and we’re very proud to play a part in this particular dimension. While ambition is important, execution is vital, and Nepean has embarked on a multi-faceted process to effectively integrate the Sandvik businesses. Nepean gained new facilities in Europe, Scandinavia, Brazil and Western Australia through the deal, adding to its existing operations across Australia and in Africa. The acquisition included 195,000 square metres of manufacturing operations across Germany, Brazil, Australia and Finland. 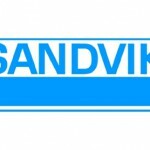 Around 340 Sandvik workers also joined Nepean, while the brands it acquired included PROK, Gurtek and Roxon. Moving from the massive Sandvik organisation, which consists more than 47,000 employees, Fuller said the businesses and their workforces were being restructured to reflect the operational model used at Nepean. Fuller said this ’lean-and-mean’ approach was part of the Nepean DNA that had been established over a long period at the company. “We have a very specific approach in running our business where I empower the business leader, who is the one that has become responsible for the employers, customer, technology management, facilities and so on,” Fuller said. Nepean plans to complement the restructure of Sandvik’s businesses by also revamping the brands it will take over from the Finnish company, Fuller added. “Companies like PROK, Gurtek and Roxon are all substantial market leaders in their own right and local companies,” Fuller explained. Another critical step in the transition involves Nepean growing a stronger understanding of the business cultures in Europe and South America. Having operated in Africa and North America for two decades, and Asia for the past 10 years, Fuller is confident Nepean will become accustomed to also doing business in Europe and South America. “We have been operating in other parts of the world for a long time. We are comfortable with international business, but we are going to need to learn Europe and Brazil at a much more rapid rate than we have anywhere else,” Fuller said. Given Nepean’s track record, the acquisition may prove to not only be a win for industry in Australia, but also for the new areas of the world the company now does business. This article also appears in the September edition of Australian Mining.